600 West Main St, Suite 300. Mark Miller is a Former US Attorney, Former First Assistant Commonwealth's Attorney and LTC JAG Corp(Ret). Miller has received the highest possible rating in both legal and ethical standards by the Martindale-Hubbell. 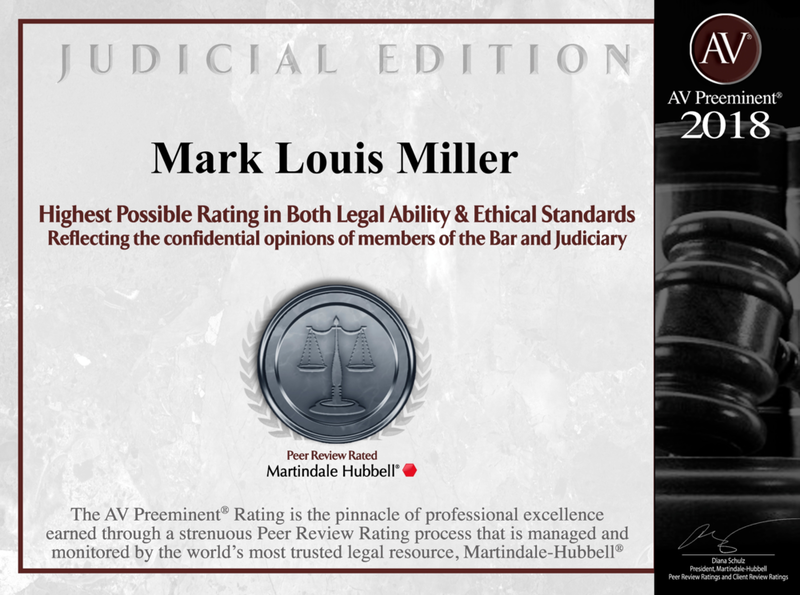 The AV Preeminent Rating is the pinnacle of professional excellence earned through a strenuous Peer Review Rating process that is managed and monitored by the world's most trusted legal resource, Martindale-Hubbel. Put Mark Miller’s integrity, knowledge and extensive experience to work for you. Regardless of your particular legal case, Mark Miller has the experience you need. Contact us today to schedule a free first time consultation.